Swampbrat: It's the final COUNTDOWN! "DONNIE- REMEMBER THE WATERFORD INN OKLAHOMA CITY 1990???" but was afraid he might feel awkward. What would be funnier is if I put a pic of some random 18 year old on the poster. That would make Donnie a little nervous. But alas, a hug & a kiss on the cheek outside a hotel does not make a child unless you are a child reading this- then YES, yes it does. Anyway, I again want to give a huge THUMBS UP to my great friends for buying my plane ticket- Nobody, S, Suzanne, NCS and Klin. Y'all are awesome!! Christmas Morning 1989- see I got cool stuff for Christmas. No english saddles or Barbie houses for me. Straight up NKOTB stuff and I was set. I am so glad you could go. I found out this week that another friend of mine is going to the one in Salt Lake City. You wouldn't have had to go alone (if it hadn't cost so much to get you here). 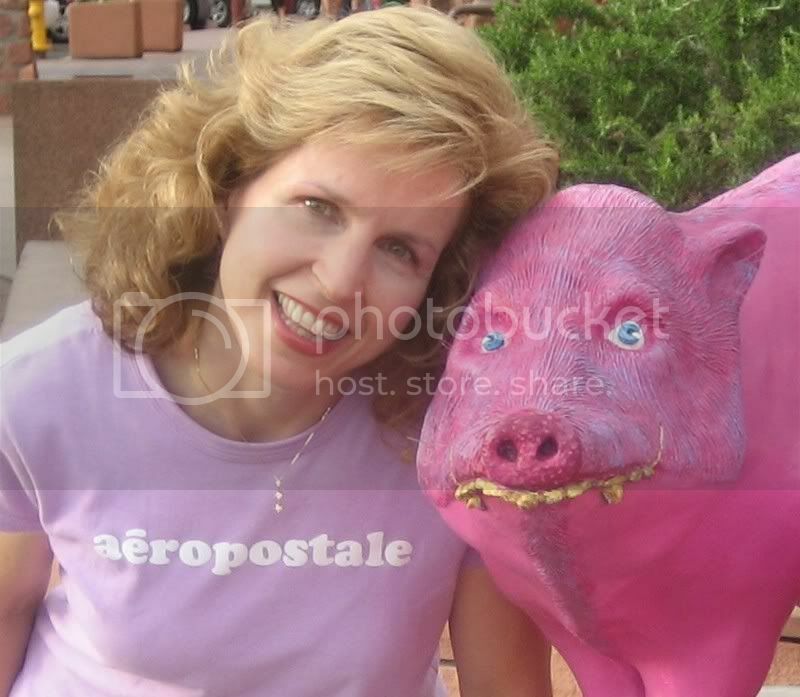 I cannot wait to see pics of you in your hot pink shirt and the big smile on your face. Don't forget to have Sei blog all about his days with the kids. Did you see that I was first? And I was totally not stalking you today. Hope it is GREAT FUN, but then again, how could it not be!!!! that post just made my entire weekend. seriously. i am mucho jealous that you are going to nkotb. i tried to talk a group of friends into going to the vegas concert, but no dice. i still might show up alone and friendless. 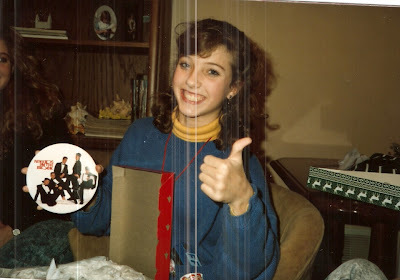 I totally had that rockin' NKOTB button too! It seems like it was smaller though. Tori is coming to see me! Tori is coming to see me! Tori is coming to see me! Tori is coming to see me! I have to watch my back! Tori is coming to see me! Tori is coming to see me!Tori is coming to see me! Tori is coming to see me! Tori is coming to see me! Tori is coming to see me! I have to watch my back! Tori is coming to see me! Tori is coming to see me!Tori is coming to see me! Tori is coming to see me! Tori is coming to see me! Tori is coming to see me! I have to watch my back! Tori is coming to see me! Tori is coming to see me! I am SOOOOOOOOOOOOO excited! And NKOTB is going to be AWESOME too! I am so excited you get to go! But really for me, its all about me. Tori is coming to see me! Tori is coming to see me! Tori is coming to see me! Tori is coming to see me! S: Tori is what? I don't believe I get what you are attempting to convey. how fun! i am so excited for you and can't wait to see pictures!! How fun for you!!! I am really happy for you that you get to go! :) Can't wait to hear all about it. Have a great time tomorrow. It will be fun to read all about your adventures. Have lots of fun - as I'm sure you will! 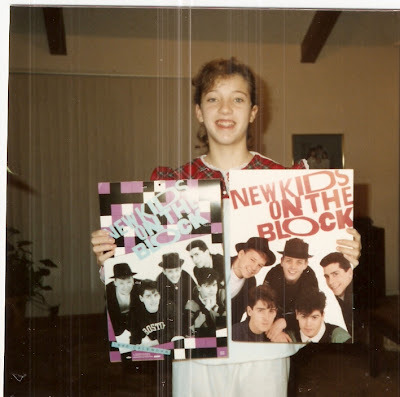 Love your pics, but I'm not sure how much money would have to be on the line for me to post my own NKOTB-era pics. LOL!! Oh my goodness, you were precious! That is so uber cute. Have a fantastic time! Have a great time Tori! And tell Sei that one package of fruit snacks does not constitiute a meal for Taj and Liv. Oh... and don't scream too loud. You might lose your voice and then Sei will be jealous. 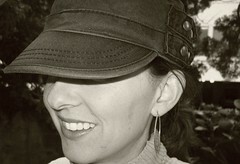 Awww, Tori, you'll be Hangin Tough because You Got The Right Stuff. I never cared for NKOTB.....with the possible exception of Have A Funky, Funky Christmas because really that was too cheesily awesome NOT to like.